Over 3 years ago, one developer started a whole new genre of streaming with Twitch Plays Pokémon. In these streams, the chat took control and played the game, rather than the streamer. The resulting craze had views in the millions. Yesterday, the creator of Twitch Plays Pokémon, referred to as “Streamer” by the TPP community, announced he is stepping down from the Twitch account following an incident involving the alleged attempt to release a TPP community member’s personal information. Twitch Plays Pokémon was only possible due to the coding expertise of the Streamer, who created a way for people to type button inputs to control a version of Pokémon Red and Blue back in 2014. Over the years the popularity of Twitch Plays Pokémon has waned, but it has still retained a dedicated fanbase, and Streamer continues to develop new tools for the channel along with a small group of other collaborators. The last time we wrote about TPP they were playing a version of Pokémon Yellow where the chat could make a Pokémon say anything they wanted. Right now, TPP is streaming Pokémon Battle Revolution, where chat is controlling two teams of pokémon that battle each other. While Twitch Plays Pokémon streams were silent in their inception, TPP has since added color commentary from the community. Two days ago during a Pokémon Battle Revolution stream, a TPP community member known as The_Chef133 was helping with commentary on the stream—but he went rogue. “You made a huge mistake giving me an open mic on this stream,” he said. During his monologue, he alleged that Streamer attempted to dox him on the Twitch Plays Pokémon subreddit. “It’s absolutely disgusting,” he said. “And what’s even more disgusting is that you are actually hellbent on trying to destroy me that you’re ignoring your staff in dev chat right now, telling you not to do this.” The_Chef1337’s goes on to say that Streamer allegedly mistreats his own staff. Indeed, on the Twitch Plays Pokémon subreddit, there’s an apology from Streamer for “[seeking] to release sensitive information.” In the comments for for Streamer’s apology, redditors mention more issues ignored community feedback, and the tone is at times hostile. It is clear that tensions have been rising for some time, and that the community that has been going strong for years no longer trusts Streamer. Neither Streamer nor The_Chef1337 responded to requests for comment before publication. In the aftermath, Streamer has said he will step down from TPP as of November 22nd. “Due to recent events, it has become clear that the TwitchPlaysPokemon community is unsatisfied with my management of the stream,” he writes. “As a result, I will be stepping down as CEO of TwitchPlaysPokemon and handing off that position to the new ‘streamer:’ Aissurtievos.” Aissurtievos will take over managing future streams. The role of the stream’s original creator going forward isn’t clear. While the community wishes Streamer well, scrolling through even the first page of the subreddit shows evidence of a community in turmoil not too long ago. Over the course of its run, Twitch Plays Pokémon caught them all, played some fan games and even beat Professor Oak. It’s fitting, in a way, that the community has moved beyond its creator. 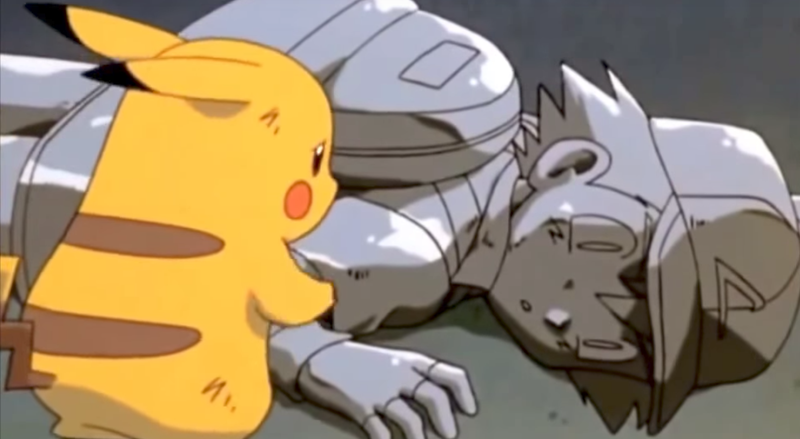 In Twitch Plays Pokémon streams, it’s ultimately the community that has control. H/T the tipster who contacted Kotaku about this earlier in the week.